Three Thousand Square Feet of South Mission Bayfront Wow! This 3bed/2.5bath condo lives like a single family 2story with nobody above or beside. Full size laundry closet in home, attached garage, w/ additional parking space, a giant view deck on each level, outdoor patio, and huge views from top level master suite! 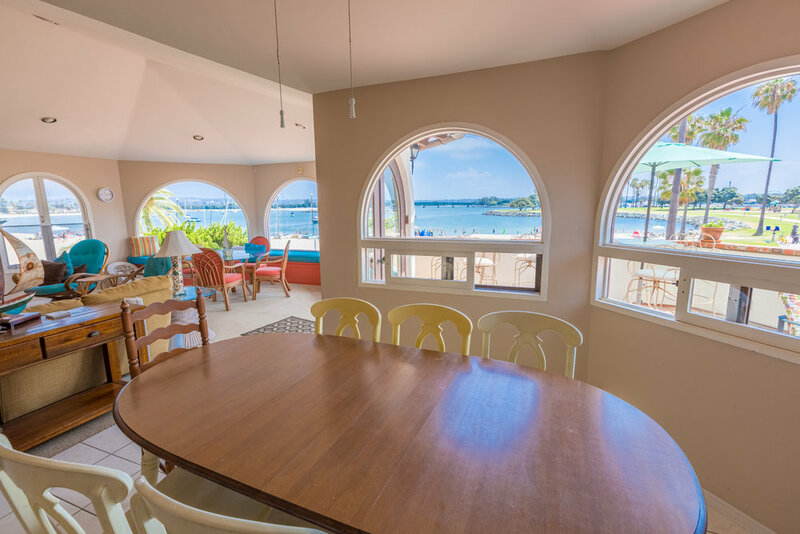 Sold fully furnished and turnkey for your family and/or vacation renters! No vacation rental restrictions in this small 2condo complex. Parking is easy with a 1car attached garage, and a separate parking space. And there's always parking at Mission Point Park about 100 feet to the SouthEast for your guests.